Companies are invited to register for award categories listing on the British Travel Awards 2019 consumer voting form. Nominations close 31st May and public voting opens 1st July. In 2018 an incredible 334,522 leisure travellers cast 753,938 votes between July and September and this year we are hoping to take this figure even higher. Reach Solutions will be encouraging their readers to vote throughout the 13 weeks voting period - with our “Vote to Win” promotion - via editorial columns, advertisement inserts and online content across their flagship titles and regional newspapers. The BTA is acknowledged as the largest and most influential consumer voted awards in travel. Recognised by both the public and the travel industry for its independence and rigorous voting procedures; the winners, sponsors, partners and nominees can be confident that their brands are associated with the most highly respected travel awards programme in the world! Join us on 27th November at Battersea Evolution, London for the gala awards presentation night. 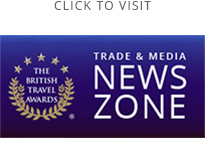 Attended by the industry leaders, top travel executives, journalists and media representatives - the British Travel Awards is the go-to event in the travel industry calendar. Tickets are on sale now, to secure the “best seats in the house” book today and you can look forward to night of great celebration, fantastic networking opportunities and sparkling entertainment. Now is the time to register your company to compete in your preferred categories. Nominations close 31st May 2019.